This combination of herbs is useful for colic, reflux and other digestive complaints including indigestion, nausea, heartburn and gas. It provides immediate relief and is one of our most popular items! 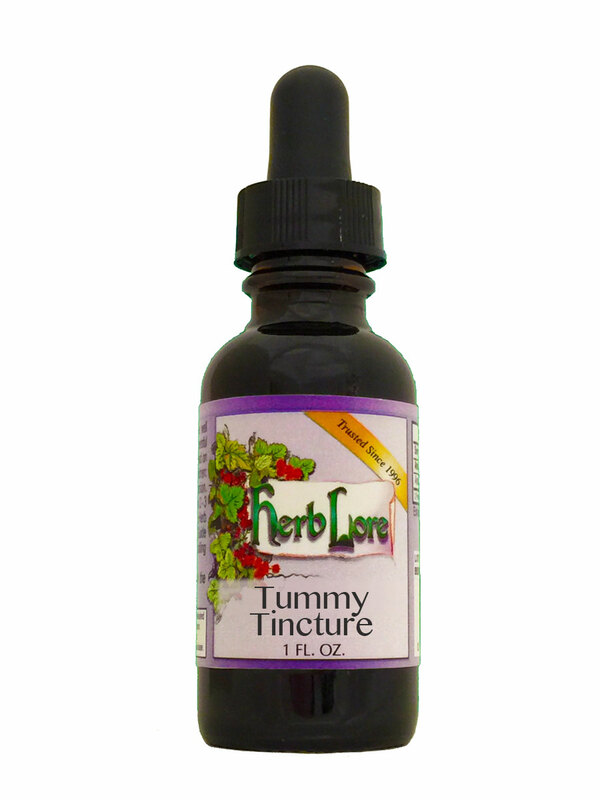 Babies: Tummy Tincture is useful for colic, reflux and other digestive issues including indigestion, nausea, heartburn and gas. Mom can take the tea or tincture and pass it to her baby through the breastmilk. In severe cases of digestive distress in baby, mom can give the age-appropriate number of drops of the non-alcohol tincture directly to the baby. (See the Children's Dosage Guide under the More Information tab.) Non-alcohol tinctures may be given directly to babies six months or older, but it is best for the breastfeeding mother to take the herbs which will pass the herbs to her baby via breastmilk. Many clients report that this product also gently helps with their little one's constipation.